In the course of shooting The Insatiable Moon there were a number of problems that needed addressing. One of them was the location of our production office in the heart of Ponsonby. It was perfect to be in the heart of the central setting for the film, and the brilliant offices were provided for us through the good graces of Stephen Marr, because he believed in the creative project we were undertaking. The downside was that parking is a mare, and that we didn’t really have room for the caterers to set up lunch for the cast and crew. So it was that Pip, our intrepid UK producer, ventured across the road looking for spaces where we might eat. He came back excited, having met the people from Brand Magic. Jane and Matt, the principals of the company, had some space upstairs which they suggested we could use. What’s more, they were interested in the film and suggested a meet over a few wines. So a few days later, Pip and I hooked up with them at the Chapel bar in the Ponce. They brought along their friend Allan Botica, a PR specialist. We all got along famously. Jane and Matt explained that they were basically problem solvers. Furthermore, they were interested in the film project and wanted to help in any way they could. They believed in goodness, and thought that what we were attempting might be an example of that. So it was that we began a friendship and partnership with people who are not only superbly competent at what they do, but some of the nicest people you are likely to meet. Over the next weeks of shooting, they organised delivery of a named director’s chair (at 24 hours notice), found clothes for lead cast, hosted our lunches in Ponsonby, consulted with us on our PR, talked to potential investors, hooked us up with the great people from Hawkes Ridge winery who gave us wine for the wrap party, and provided the crew T shirts which were awarded on completion of shooting. Why did they do this? Because they are good people, and they believe in adding their little bit of goodness to the world in the hope of making it a better place. It’s a phenomenon which has accompanied our film on its journey – one for which we remain deeply grateful. 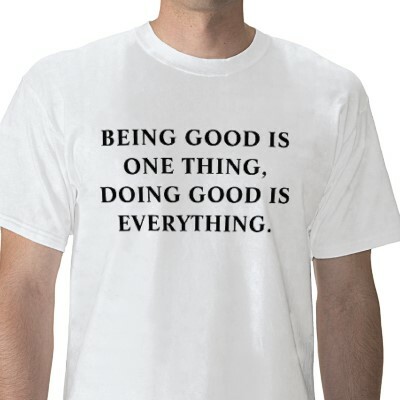 In this psychotic culture we inhabit, there is often criticism of ‘do-gooding’. What would people prefer? Do-badding? Human kindness, generosity and friendship is a profound resource in our troubled world. It does change the world, in the same way that water shapes stone – slowly but surely. That’s one of Arthur’s messages to his world in The Insatiable Moon. Our thanks to those, and especially Jane and Matt, who live it out on a daily basis.